Private companies are encouraged to latch onto every potentially-profitable public investment. What’s new or good about that? Credit: "Columbus Taking Possession" by L. Prang & Co., Boston. Licensed under Public Domain via Wikimedia Commons. As the global economy limps along with low expected growth rates or recession in major emerging economies, the World Bank and other donor agencies have embraced a new cure-all for poverty reduction and development called ‘Public-Private Partnerships’ or ‘PPPs.’ Though the term is still ambiguous, these arrangements are basically long-term contracts between a government and a private entity for the provision of a public service. In principle, PPPs are meant to transfer risk from governments, while businesses gain through revenue generation and the receipt of assets or guarantees from the state. Over the last few years there’s been a surge in enthusiasm for PPPs, so much so that they’ve become like a free-market parasite on steroids, latching onto every potentially-profitable public investment opportunity. Multiple projects are being designed and launched in quick succession in all corners of the globe, with 134 developing countries currently participating in partnerships that finance between 15 and 20 per cent of their investment in infrastructure. From Indonesia to Ghana to the small and highly indebted territories of the Caribbean, the World Bank is advocating the establishment of PPP legal and policy frameworks in areas of “public interest” including infrastructure, water, electricity, healthcare, and education. Ghana is preparing a PPP law to regularize its procurement practices in the hope of attracting more private investment in its drive to become a middle income country. In September 2015, government officials from 12 Caribbean nations were taken through a series of PPP “boot camps” to get them into shape and on track for the onslaught of these mechanisms as they are rolled out across the region. The gap between the demand for infrastructure and the finance available to develop it is also being viewed as an opportunity for PPPs in the Asian region. But does the wide adoption of these partnerships mean that they are actually effective in addressing the challenges of poverty, public service provision and productivity? The answer is no. Even the World Bank’s own independent evaluation studies acknowledge that the impact of PPPs on the lives of poor people has been inconclusive. But these studies are clear in showing that public liabilities have increased as a result of these mechanisms because they create greater debts and ongoing financial obligations which the state has to assume. In its 2015 Trade and Development Report, the United Nations Conference on Trade and Development (UNCTAD) confirmed these findings, citing cross-national evidence that the fiscal cost of PPPs increases over the life of the project. In addition, the price paid for essential services often goes up rather than down, as in the Philippines where a PPP in the power-generating sector resulted in citizens paying one of the highest electricity rates in the world. In Tanzania, PPPs were also installed in the power sector from the 1990s onwards. They sparked questionable procurement practices and litigation which resulted in an increase of approximately $200 million in the national debt from liability payments owed to a company jointly-owned by the UK and Norwegian governments called Globeleq. Overall, the evidence doesn’t support the assumption that PPPs can play a significant, positive role in extending public services to the poor or in other areas of poverty reduction. So the current level of enthusiasm for partnership seems to be rooted more in ideology and profit seeking than in logic or concrete achievements on the ground. Yet despite the lack of affirmative evidence, the UK government and the European Commission have both pledged unyielding support for PPPs in their aid programmes. They believe that such partnerships are an effective mechanism for sharing financial risks and achieving greater efficiencies in development projects. They also believe that the private sector brings with it advanced capabilities and resources that governments do not have. As a result, PPPs have become the ‘perfect cocktail’ of neo-liberalism, mixing high indebtedness with fiscal austerity in many lower-income countries. In order to understand and interrogate these arrangements, some historical background is useful. Development economists tend to date them from the 1980s when privatization and increased private investment in public services were integral components of the ‘shock therapy’ of liberalization that was forcefully administered to low-income countries by the World Bank and the IMF. 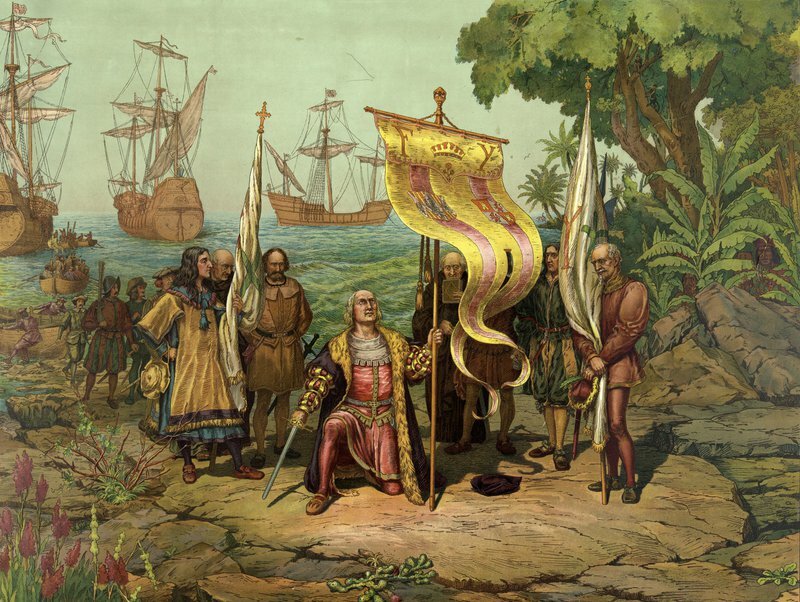 But the idea of public-private partnerships - or at least of shared risks and rewards - dates back to at least the fifteenth century when a private navigator called Christopher Columbus went in search of gold and spices in worlds that were unknown to Europeans. Columbus didn’t set sail on his own volition. He required significant financial investment for his expeditions. So when his requests for help were declined by the King of Portugal, he approached the Spanish government instead in the form of King Ferdinand and Queen Isabella, who agreed to guarantee funding for his first voyage in January 1492. The Spanish state also provided essential supplies and personnel. In addition to funding, Columbus needed the power of the state to secure and defend his claims in the Americas. In return for these investments, the hoped-for treasures of the New World would belong to the Spanish Empire – rewards which included indigenous slaves, fauna and gold as well as trade routes, lands and resources for imperial expansion. For his part, Columbus proposed to invest 12.5 per cent of the total cost of the trip and receive the same in profits on commission. He also asked for a host of new titles to be conferred on him, including ‘Don’ and ‘Admiral of the Sea,’ as well as ‘Governor General’ of the lands he ‘discovered.’ Thus the voyages of Columbus represent one of the earliest examples of a public private partnership in which risks and rewards were shared between the state and a private entrepreneur who used his technical expertise and grasp of cartography to produce significant profit and prestige. Now let’s consider some lessons for the present. Compared to the Spanish Empire in the fifteenth century, most low-income countries today lack the power, information and capacity to negotiate successfully with large companies and to implement complex projects with the private sector. In most of these countries the indigenous private sector is weak, so most PPPs involve multinational corporations which have the necessary technical skills and financial wherewithal. It’s ironic that the structural adjustment policies associated with World Bank and IMF lending in the 1980s weakened exactly those capacities that are now required to ensure that public-private partnerships operate in the public interest. In conditions of low state capacity, such projects may be highly profitable for multinationals but ineffective as vehicles for local development. What is known from history is that capable states encourage more productive investment and achieve a better quality of life for their citizens than any public-private initiative has ever done, Columbus included. In the face of sputtering growth, recession, and a climate crisis, what’s really required are coalitions across society in which the state can enhance its capacity to stimulate the domestic private sector. Business can then be steered towards achieving broad-based poverty-reducing growth under a shared, long-term vision for an equitable and sustainable economy. The World Bank and other donor agencies should focus on supporting these capacities and coalitions, not circumventing them by promoting special deals with foreign companies. If that were the case, ‘public private partnerships’ might actually support, protect and advance the democratic obligations of governments to serve the needs of their societies.